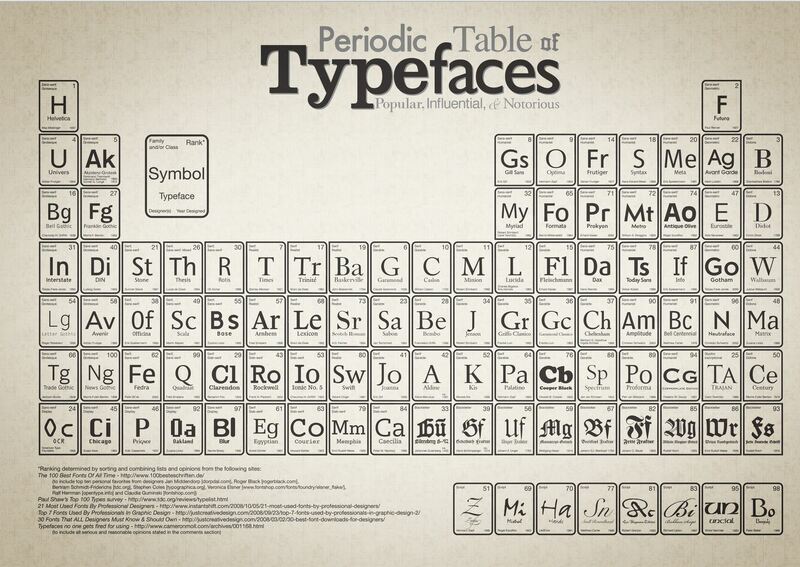 “Periodic Table of Typefaces” has the same look as the Periodic Table of the elements but with type instead of chemical elements. “H” stands for Helvetica instead of hydrogen. The sample letters are in the appropriate typeface. To find it, type the name into Google or your favorite search engine.